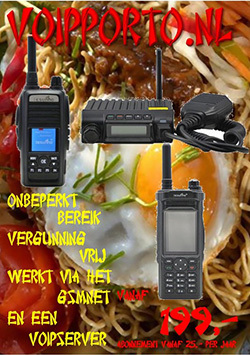 Vaak hebben porto’s die gebruikt worden voor de amateurradio hobby een IP rating. Zeker de radio’s die eigenlijk voor professioneel gebruik hebben deze rating. Hieronder vind je de uitleg over de zogenaamde Ingress Protection. The inside of two way radio is filled with sensitive electronics which needs to be protected from the outside environment therefore, when you are in process of choosing the most suitable two way radio you might have a look at its IP ratings. IP ratings are internationally agreed standards of INGRESS PROTECTION. 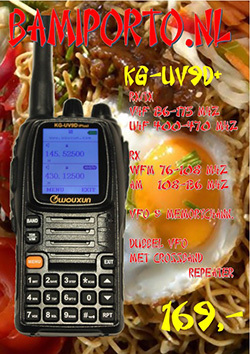 In simple terms it means how well is the radio protected from dust and moisture. These standards have been agreed to help guide the end users (and sellers like us) to choose/ or recommend the most suitable radio system depending on the end users’ needs. IP rating is described by two digits where the first represents protection against solids and the second digit protection against moisture. First digit indicates protection from the solids such as dust. This rating ranges from 1-6. Rankings for solid IP are lowest for large objects and highest for the smallest particles. Therefore, when radio has ranking 6 even the tiniest dust particles cannot get in and damage the radio. 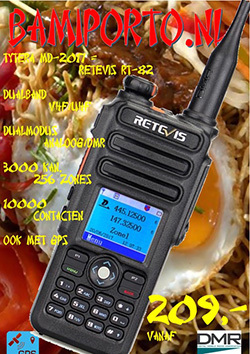 The two way radios with high first digit are perfect for construction industry or workers in windy environment. Second digit is representing protection against moisture. Liquid ingress digits are on scale 1-9 where 1 can hold a falling drop of water to 9 which protects two way radios against high-pressure jets of water from several directions. The most common rating is 7 which can waterproof radio for up to 30 minutes in 1 meter of water. However, you can also find some radios for which first digit is represented by letter X. These radios doesn’t have a dust protection. However, their primary purpose is usage on boats or at ski centres where dust isn’t the primary problem. These radios are usually extremely waterproof. For instance marine range from Icom. Hytera PD605 , Sepura SBP 8340, Icom IC-F1000 have rating IP 67 what means that they are dust proof and also can be submersible for up to 30 minutes in 1 meter of water. Motorola DP4400 has IP rating 57. This means that the radio is still very well protected against dust and is also submersible for up to 30 minutes in 1 meter of water. 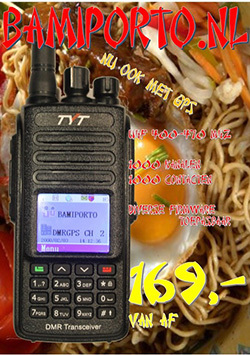 When we have a look at Motorola DP2400 with IP 55 we can now assume that the dust protection with this radio is still very good however is not so tough on the water, therefore it is not very suitable for outside environments or places where it can get in contact with lot of liquids. Icom M35 which is from marine radio range has IP rating X7 and by this we can be sure that this radio is toughly water resistant (but not the good option for dusty places). Motorola XT180 which targets leisure consumers has IPx2 what means it is splash proof and not really suitable for dusty environments.